This recently came to my attention. 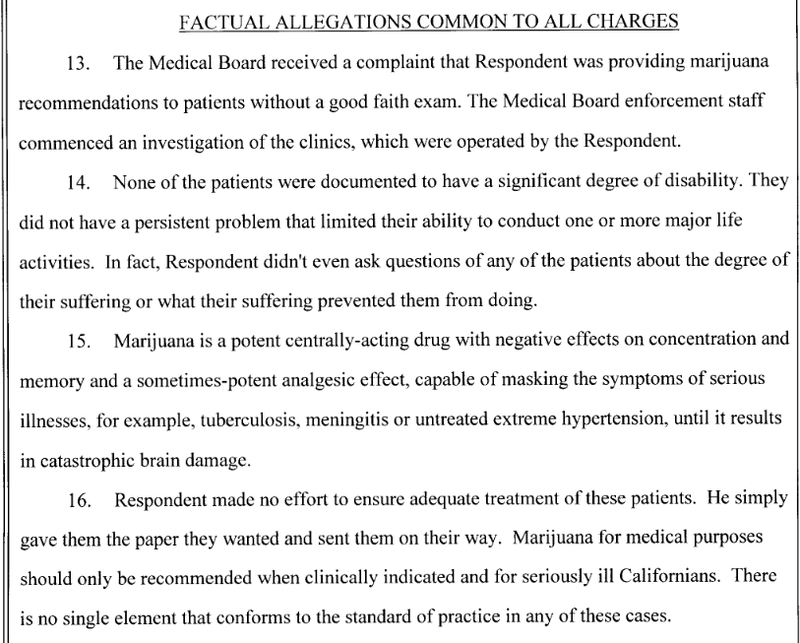 I reviewed the Accusation by the Medical Board of California. Investigators posing as patients were used to document the charges. 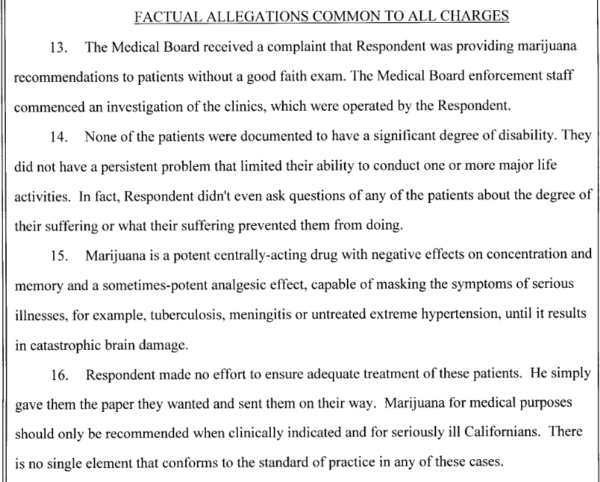 Several issues cited by the Board relate to this MD’s provision of MMJ recs via online evaluation: no prior good faith exam; no documentation of significant disability; practicing telehealth without a professional on-site performing a requisite physical exam; falsifying records; and, prescribing without appropriate prior exam or medical indication. 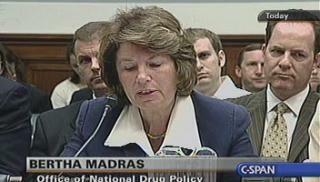 So, my question is: why was this escalated from a medical complaint to a high profile felony arrest? The Tulare County Sheriff’s Department arrested a Los Angeles obstetrician-gynecologist on Tuesday for illegally issuing medical marijuana recommendations. Dr. Howard Ragland was taken into custody for two felony warrants which were issued after an investigation by the Sheriff’s Tactical Enforcement Personnel team. The Sheriff’s Department said it is the first prosecution of a doctor related to the issuance of recommends in Tulare County. 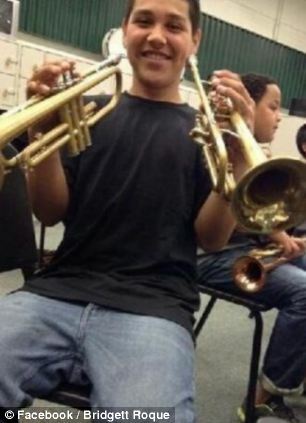 Ragland was taken into custody in Los Angeles without incident by detectives with the Sheriff’s Department’s County Apprehension Team Tracking Criminals in Hiding, who coordinated with the Los Angeles County Sheriff’s Department’s Major Crimes Fugitive Task Force. Ragland was being held in the Los Angeles County Jail on Tuesday pending transport to Tulare County. His bail has been set at $75,000. Ragland also kept offices in Bakersfield, Fresno, Los Angeles and Beverly Hills. Several SCC members have expressed interest in this case, and we will try to learn more details. I believe “CannaMed” is the chain Ragland was associated with… He may have been as lax as charged, and the med board may have every right to take away Ragland’s license, but for the Tulare County sheriff to arrest a cannabis-approving MD seems like as escalation of the War on Prop 215.